The city of Jerusalem, Israel’s capital, is the cornerstone of the Judeo- Christian civilization. Today, it is densely populated by 690,000 residents, 465,000 of them Jewish, the rest mostly Moslem and Christian. 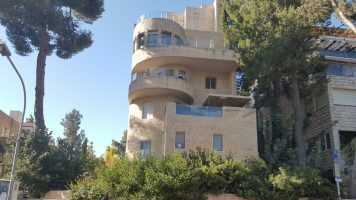 The high demand for residential property in Jerusalem by Jews around the world, accompanied by limited availability of land resources, has resulted in a steady rise in real estate prices in Jerusalem since 1967. Israel’s purchase tax is calculated gradually. It ranges from 3.5% to 5% of the property price. Purchase Tax must be paid within 50 days of contract signing. The fees for professional services (legal) in real estate transactions range from 0.5% to 1.5% (exclusive of VAT) of the buying price. The final rate is set between the attorney and the customer and is normally a function of the transaction volume. The Israeli mortgage market offers a wide range of loan paths with various terms and conditions – Linkage to the dollar or the shekel, fixed interest or variable interest for a period of up to 30 years. Funding can be raised for as much as 90% of the total property value. 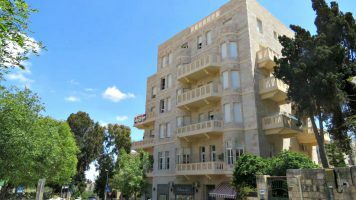 Private property – Property belonging to Israel’s Lands Administration, which is leased to the buyers and generations following for up to 98 years. Church property – property belonging to the church with is leased to buyers and generations following for various periods of time according to the specific lease.